I am often asked about the merits of travelling in Europe during the so-called “shoulder” season as opposed to “high” season. Shoulder season is often defined loosely as spring and autumn, and high season as summer. The obvious benefit of summer travel is the likelihood of good weather. The apparent benefit of shoulder season is the likelihood of smaller crowds. However, over the last decade, so many people have heeded the recommendation for shoulder season travel that the crowds have pretty much evened out, meaning that there isn’t really a “high” season anymore. I don’t mean to say that you’re going to see the same amount of people in St. Mark’s Square in January as you will see in July – but really, from March to October you are never going to find yourself alone riding the elevator up the Eiffel Tower, viewing the crown jewels in the Tower of London, or wandering through the Sistine Chapel. I still read this recommendation in travel articles and wonder if the author has ever been to Venice in March or Vienna in October! 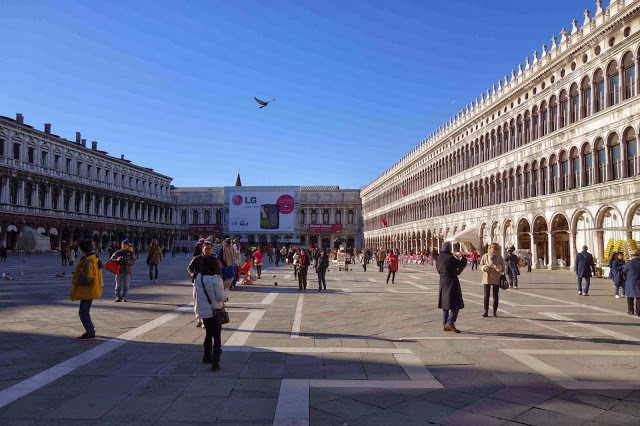 Early morning in St. Mark’s Square – crowd free! So unless you want to brave the probability of poor weather in the winter for the sake of more elbow room at the Louvre, you are going to be travelling in Europe with lots of other people. But if you plan well, you can avoid the pitfalls of the tourist season. 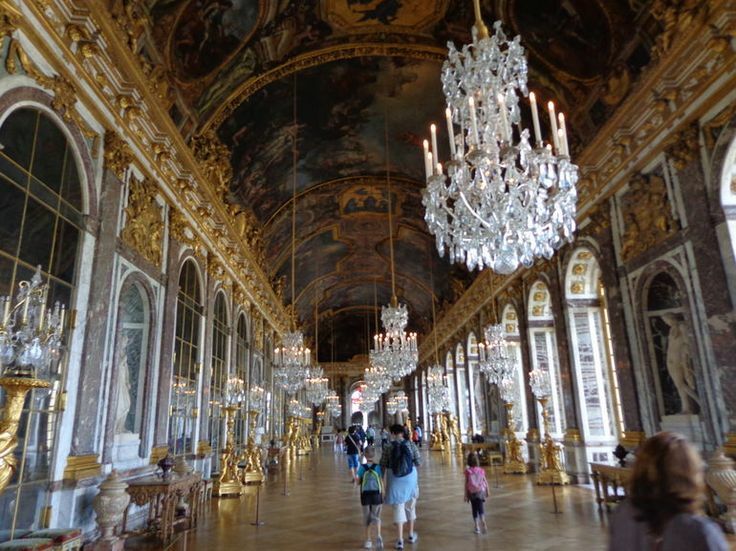 For example, it is good to know that many of the big box tour operators bring their huge busloads of tourists to the Palace of Versailles about an hour after it opens. Arrive early and get in first (with a reservation of course) and you’ll have the first hour or so to enjoy the uncrowded rooms of Louis’ XIV’s pleasure palace with just a few other smart travelers. Most of these big tour groups are gone by mid to late afternoon, so arrive later and you get the same experience. Another crowd-beating tip is to understand that Venice is inundated with day-trippers from about 10 AM to 4 PM, most of whom are either coming in from mainland hotels that the big box tour companies use or from cruise ships in port for the day. The key is to stay in Venice proper, and take advantage of the early morning / late afternoon and evening for visiting the most popular places that the day trippers will have on their checklists (St. Mark’s Basilica and Square, the Doge’s Palace, the Rialto), and take in some of the lesser visited gems midday (the sublime artistic masterpiece that is the Scuola Grande di San Rocco, the palace frozen in a long past golden age Ca’ Rezzonico, and many others). The Palace of Versailles, virtually empty in the late afternoon. Travel in Europe when you want to, even mid-summer (which, after 10 years of guiding tours, is still my favourite time to be in Europe!) With some research and planning, you won’t need to worry about lineups and crowds. Have you got a travel tip of your own? Feel free to share it in the comments section below. OneLife Tours is dedicated to the absolute best in European travel experiences. In addition to providing outstanding escorted tours for small groups, we also offer travel planning assistance for independent travelers wishing to have one-on-one expert advice. 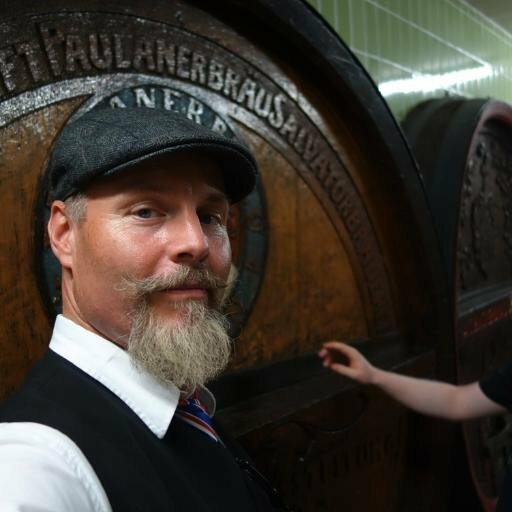 Contact our chief tour director Craig Bresett for more information.